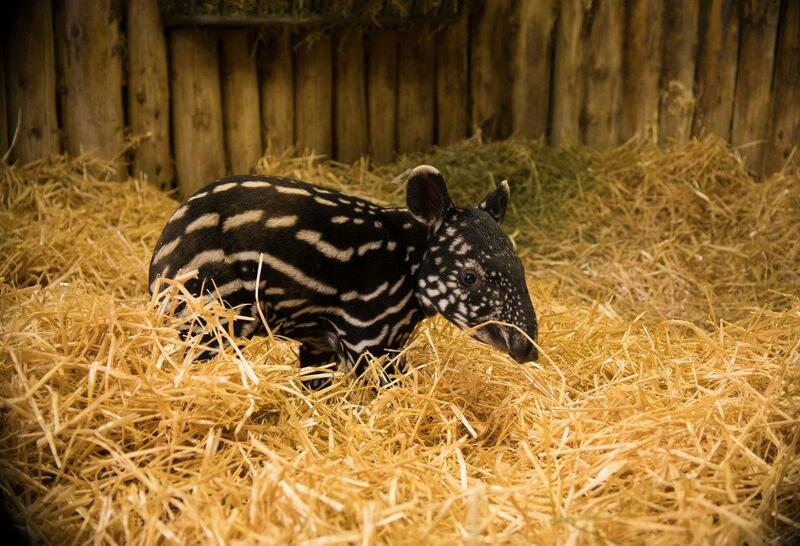 Keepers at Royal Zoological Society of Scotland’s Edinburgh Zoo welcomed the birth of a rare Malayan tapir recently. Malayan tapirs, also known as the Asian tapirs, are the largest of four tapir species and are native to the rainforests of Burma, Malaysia, Sumatra and Thailand. They are increasingly threatened in the wild by habitat loss and hunting. The European conservation breeding programme for the Malayan tapir plays a key role in protecting the species from extinction. The latest arrival, born late on 31st January, is the eighth tapir calf born at Edinburgh Zoo since 2007. 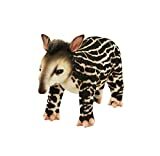 Baby tapirs are born with brown and white fur which helps to provide camouflage in their natural rainforest habitats, with the black and white adult colouration developing after a few months. Jonny Appleyard, team leader for hoofstock at Edinburgh Zoo, said, “Malayan tapir populations in the wild are continuing to decline, so all births are incredibly valuable to the breeding programme and we’re really excited about our latest arrival.